All the objects beyond 150 astronomical units come closest to the sun, a point known as perihelion, at nearly the same time that they cross the plane of the solar system. There’s no reason for these perihelia to bunch up like that. Billions of years of evolution should have left the perihelia scattered, like the rest of the Kuiper Belt—unless something was holding the perihelia in place. All 2,300 TNOs whose orbits are known (taken as a group) have ω (argument of perihelion) values that cluster near either 0° or 180°. Chance could produce such a departure from a random distribution only once out of 10,000 times! 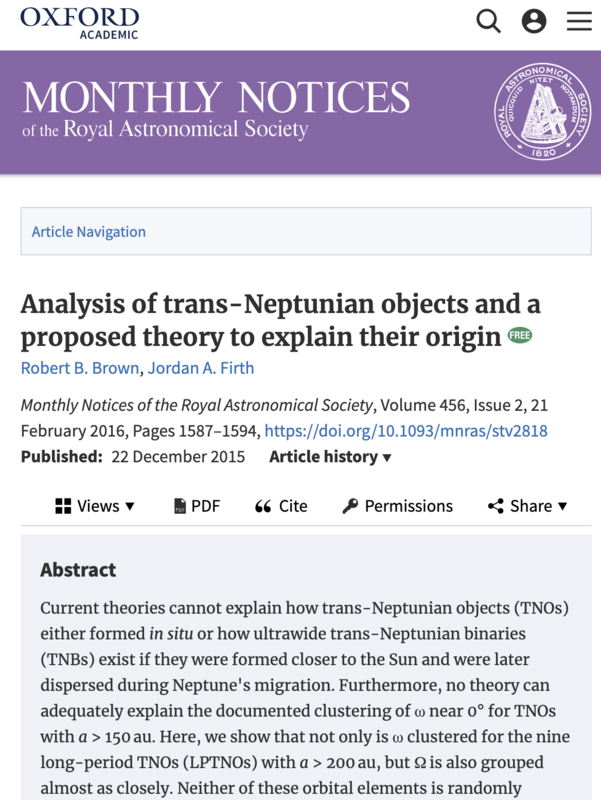 See Analysis of trans-Neptunian objects and a proposed theory to explain their origin, 2017, MNRAS. 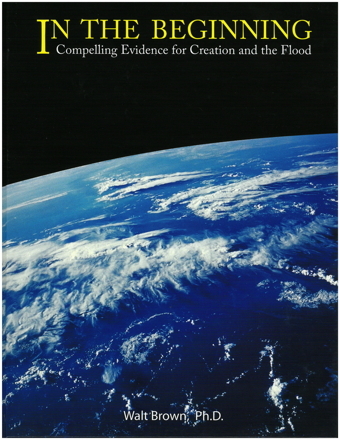 Anyone interested can duplicate these results provided by astronautics Professor R. B. Brown. He downloaded from the Jet Propulsion Laboratory’s Small-Body Database the orbital elements for all 2,300 TNOs with known orbits. He then constructed a histogram for w that showed two prominent peaks—one near ω=0° and one near ω=180°. A simple chi-square test showed that the distribution was non-uniform with a confidence level of 99.99%. Professor Brown concluded that “many TNOs recently received powerful thrusts from near the plane of the ecliptic. Thrusts directed up above the ecliptic, produced ω values near 0°; thrusts directed downward produced ω values near 180°. He projected many TNOs and asteroids back in time and showed that Neptune’s gravity could have provided that thrust for only a few of these bodies over the last 22,000 years. Therefore, other planets near the ecliptic plane were involved. Were these TNOs even closer to the Sun than Neptune? If that thrust occurred millions of years ago, random perturbations would have smoothed out those peaks, so the values for w would have been spread out uniformly between 0° and 360°. Therefore, “recently” must be less than millions of years ago—perhaps 5,000 years ago. * Dr. Baumgardner on RSR: You may want to hear Bob Enyart's 2007 interview of John Baumgardner!